During her mother’s battle with ALS, our founder Joanna Rosenberg saw first-hand how easily it is for ALS patients to lose touch with their immediate and wider communities. That’s why SimpliHere is dedicated to forging and preserving community connection for ALS patients and their caregivers. Community is not only a cornerstone of our mission as company, but the pulse of the ALS army. Through shared experience, awareness campaigns, and unparalleled communication, Amyotrophic Lateral Sclerosis is facing a formidable force of patients, caregivers, researchers, policymakers, fundraisers, and advocates. As new campaigns, organizations, and individuals join the fight against ALS every day, we’re taking a look at just a few of the original and inspirational ALS organizations build in the spirit of community. Founded in honor of professional baseball player, coach, and enthusiast Pete Frates, this grand slam organization was instrumental in bringing ALS into the international spotlight. After his 2012 diagnosis, Pete brought more than just the baseball community together with the Ice Bucket Challenge, and his ALS team set the standard for awareness and fundraising campaigns. In the last five years, “Team Frate Train,” as they’re called, has organized dozens of innovative and creative fundraising campaigns. Today Pete and his team continue fighting against this disease with ALS games at Fenway Park to the international event,“Pints 4 Pete,” and one pretty dapper charity blazer. Possibly the biggest name in the ALS network, The ALS Association operates around three main foci: global research, nationwide advocacy, and empowerment and support for patients and family members. With headquarters in Washington, D.C., the Association is right in the middle of the policy-making arena, and each year they organize the National ALS Advocacy Conference, where PALS, family members, and advocates talk face-to-face with members of Congress. The Association has planted seeds across the nation with its local chapters and support groups, creating networks of support and providing care and resources for PALS. For many years ALS remained relatively anonymous, even after Lou Gehrig’s highly publicized battle with the disease, but with an unapologetic voice, the ALS Association has established itself as one of the top resources for ALS statistics, research updates, and information. 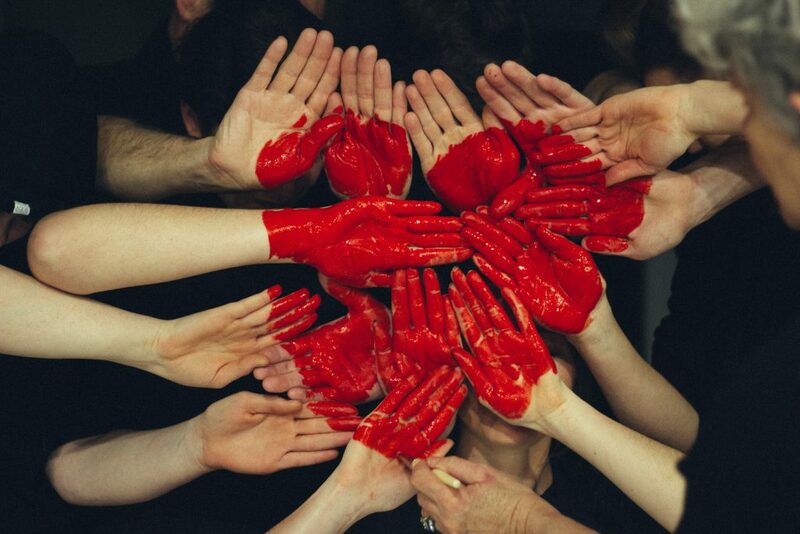 Their most recent awareness campaign — #VoiceYourLove — is a Valentine-inspired bid to raise awareness for one of the disease’s most heart wrenching symptoms: losing the ability to speak. In 1997, ALS patient Ginny Delvecchio began raising funds and awareness for ALS, eventually establishing The Angel Fund. A year later, Ginny passed away, but her family continued fostering and growing the Fund, gaining momentum until it was big enough to warrant a board of directors and partnership with the Cecil B. Day Laboratory for Neuromuscular Research at UMASS Medical School. What is so striking about this organization is how easily it could have floundered. After only a year, The Angel Fund was left without its founding mother — many a nonprofit has been known to fail because of far less. But the community spirit that Ginny inspired ensured that The Angel Fund would never be without supporters, advocates, and organizers. And now, over twenty years later, The Angel Fund operates as a conduit for the Day Lab for funds and awareness, and continues to be one of the most impactful ALS charities. As a nonprofit biotech in a world of Big Pharma, the ALS Therapy Development Institute is a shining example of what a united community can accomplish. Nestled in Cambridge, MA, the heart of biotech, the institute is dedicated solely to ALS research and is led by ALS patients and drug development experts working side-by-side. The origin story of this research powerhouse is a double-sided coin of heartbreak and inspiration. Over twenty years ago, in a time when ALS therapies were hugely underdeveloped, a young man named Stephen Heywood was diagnosed with ALS. In 1999, after Stephen’s passing, his brother James founded the ALS Therapy Development Institute in the basement of his family home. Today the institute has expanded into the largest nonprofit biotech focused solely on ALS, and it serves as a testament to how far we’ve come in ALS research and therapies, and a reminder that any knowledge gained is significant ground gained in the fight against ALS. The Cellucci Fund isn’t just a research endowment; it’s a love story. 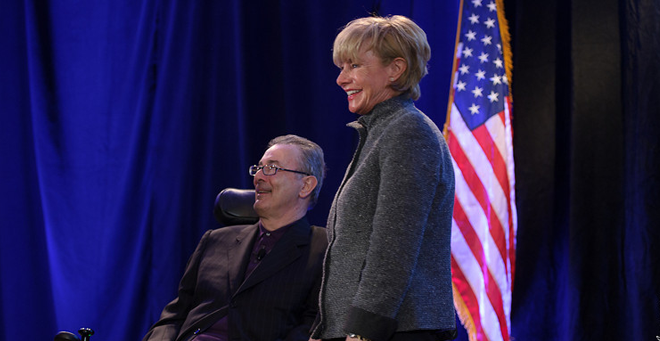 Founded by former Massachusetts Governor and ALS patient Paul Cellucci, the Cellucci Fund aspires to create a $10 million endowment. A lifelong politician, Cellucci never lost a single campaign, and in the eyes of his loved ones, he didn’t lose his campaign against ALS, either. The incredible amount of money and awareness he raised was a win in itself. Now, just six years after Paul’s passing, his wife Jan continues the campaign, and the Cellucci Fund has already raised $5 million. The money raised directly supports innovative research ideas in interdisciplinary labs at UMASS Medical School, its affiliate. There’s a reason entire foundations are formed and research laboratories funded in response to a single person’s pain. Empathy is stronger when there’s backstory or face-to-face interaction, and when a person we have loved, known, or had even just one memorable conversation with experiences pain, we feel it, too. Empathy is a worthwhile contagion, an instinct of humanity, and a catalyst for action. Thus, as important as it is to know the numbers, statistics, and scientific terms that define ALS, it is just as important to know and share the stories and faces of this disease. As we’ve seen with these five extraordinary ALS communities, one person’s story can be enough to spark a movement. Take the first steps in sharing your ALS story by taking our brief ALS Patient and Caregiver Survey.